If I don’t see somebody wearing this on a T-shirt at the next ICANN meeting I will be very upset. All the White Noise being drummed up is focusing consumer attention on .COM sites that they trust and away from Gimmicky OffShore extensions they do not trust. Classic Win Win for Grandfathered and trusted .COM holders. 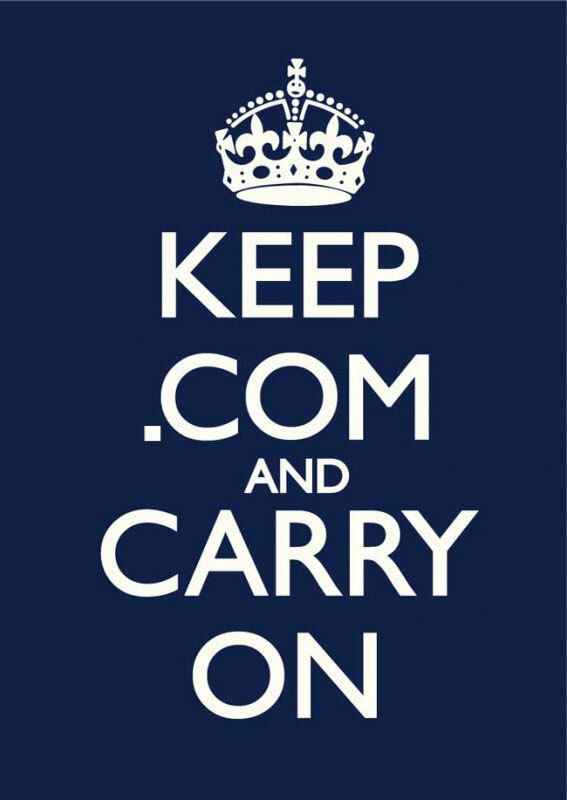 R. E. = ” As we already know some of the favorite ccTLD’s of domainers like .Co, .Me and .Tv made the list.